When it comes to B2B lead generation, we’re all given basically the same objectives – get more leads and ensure they are high quality. As marketers, the pursuit of these goals keep our minds occupied almost constantly. But, one factor is more important than the other. For example, if you can’t generate leads, then their quality is going to be the least of your concerns. So, for this reason alone, lead generation needs to be the primary focus for B2B marketers. 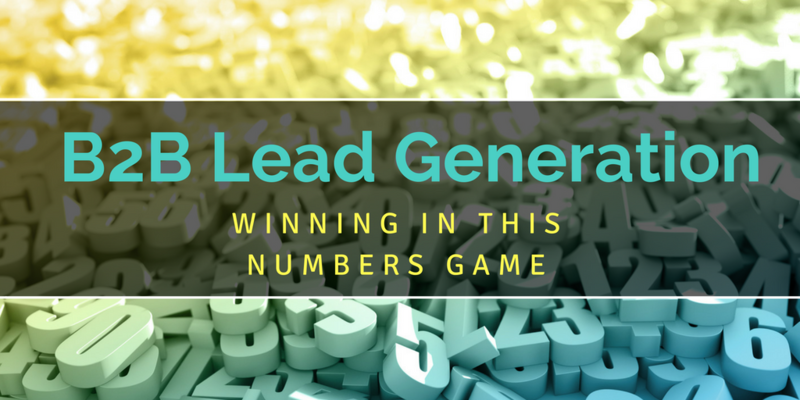 Creating a B2B lead generation plan can be a daunting process. For some marketers it conjures up memories of laboriously sifting through analytics on spreadsheets while intermittently sensing wafts of colleagues’ lunches and piercing phone natter. But why does campaign planning get such a bad rap, especially given that it’s arguably the most informative and important stage of the marketing cycle?